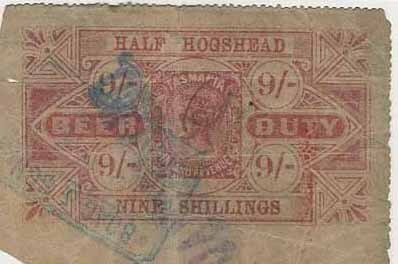 Constantly updated as information and prices are sourced. 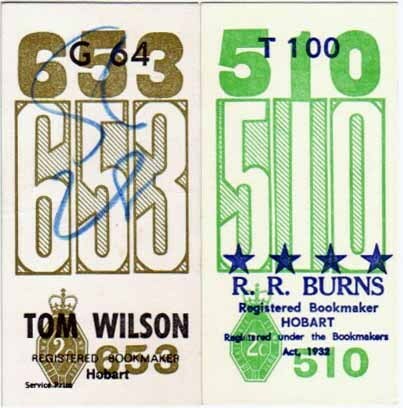 Prices in Australian $ are for sound copies, damaged copies by negotiation. 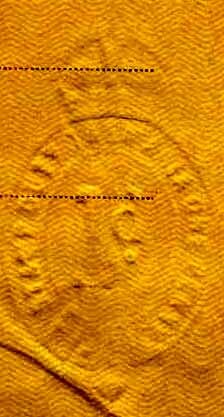 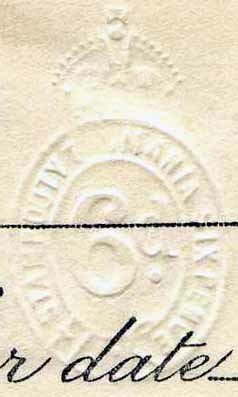 Perforations: Unofficial perforations were done by two local firms. 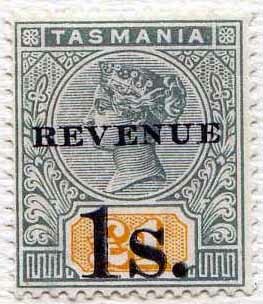 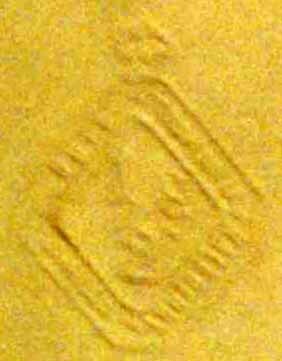 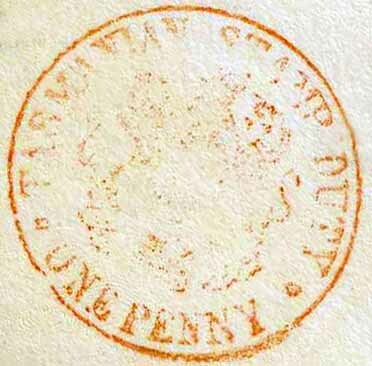 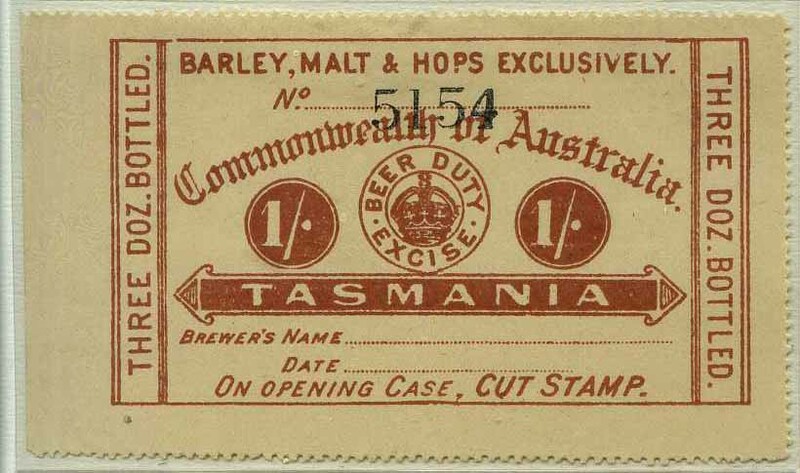 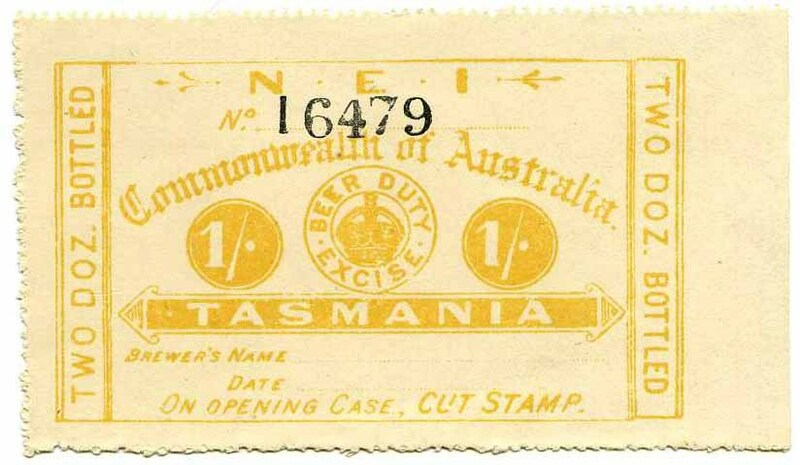 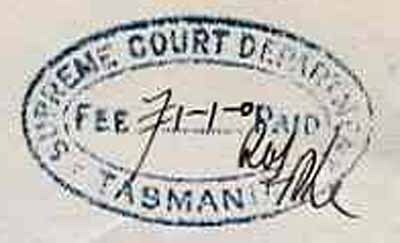 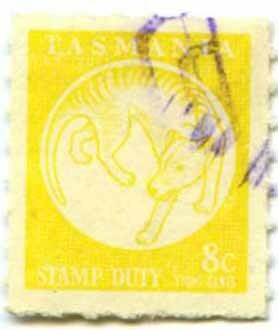 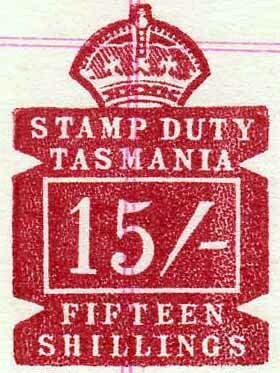 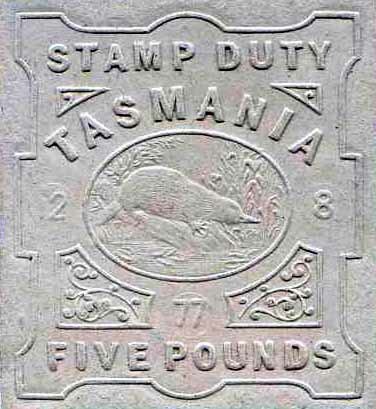 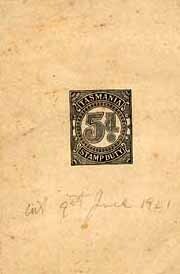 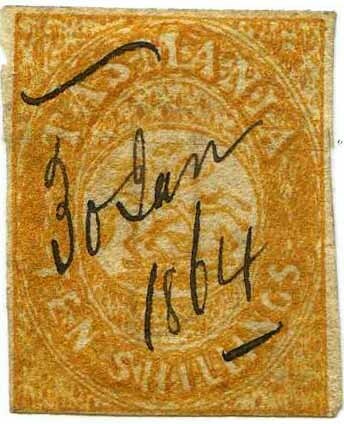 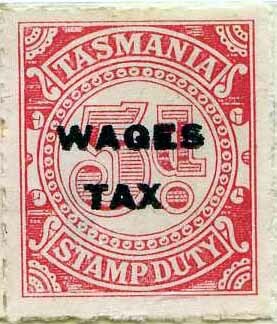 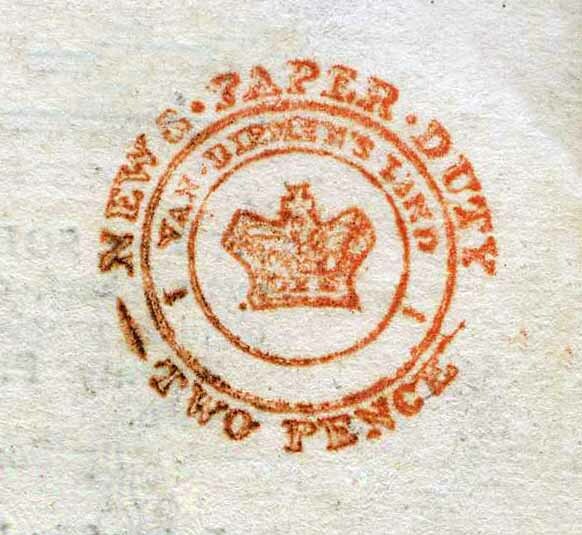 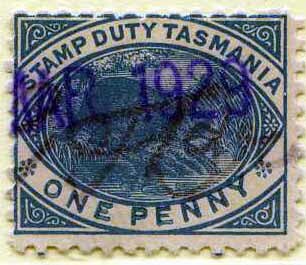 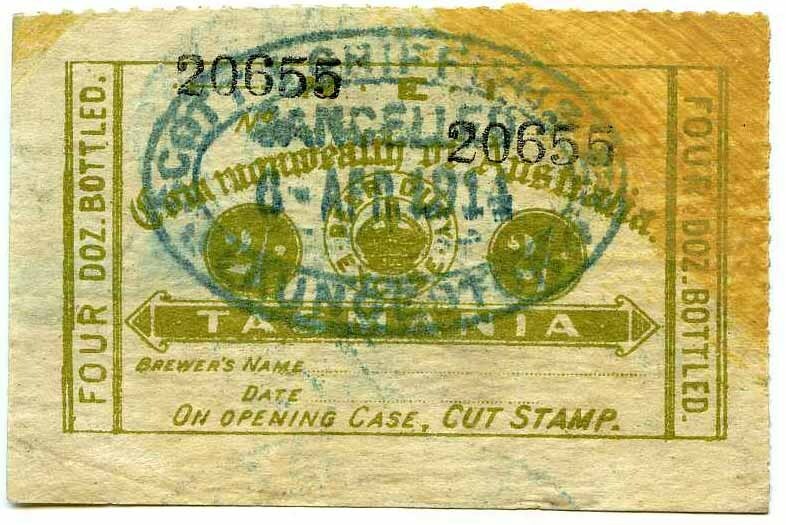 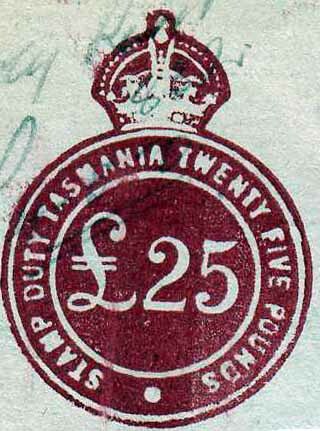 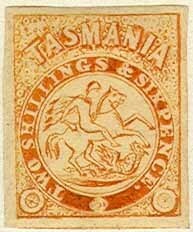 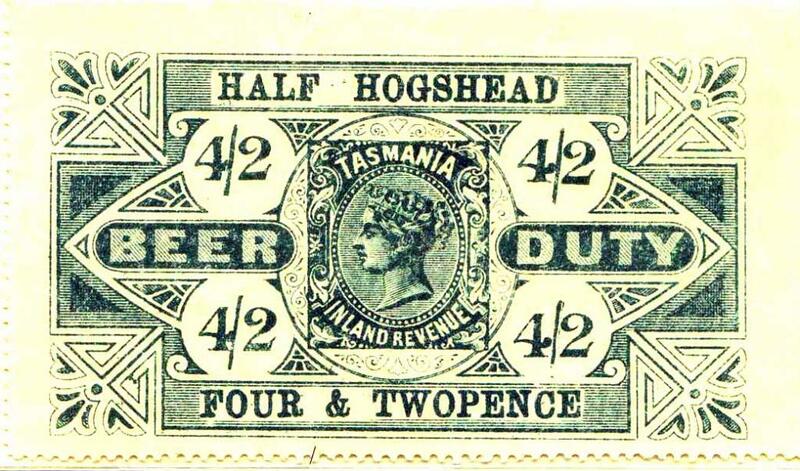 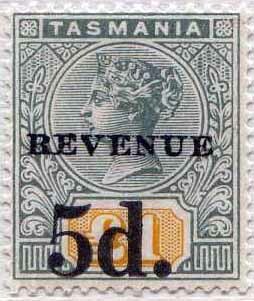 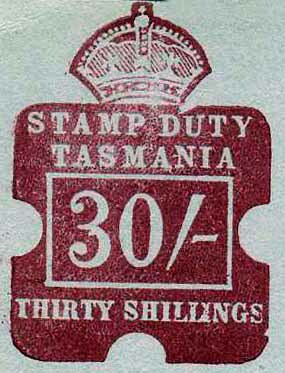 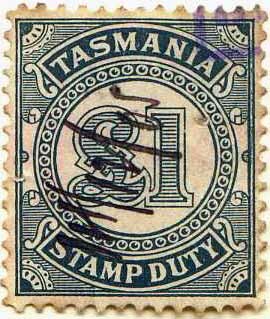 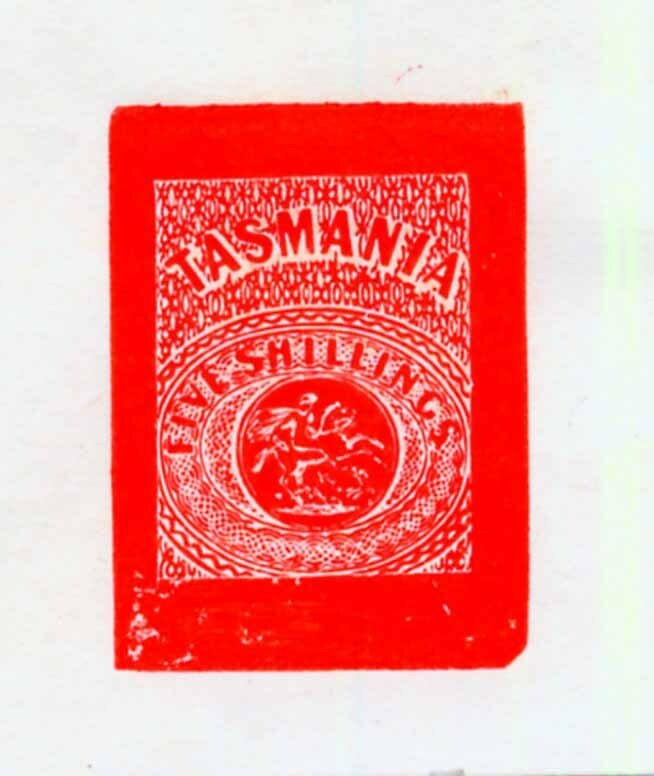 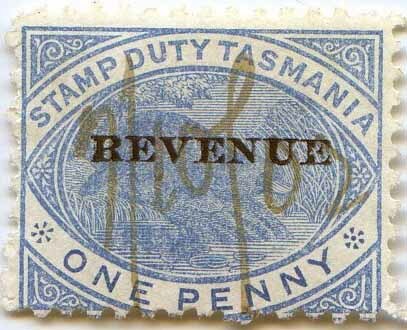 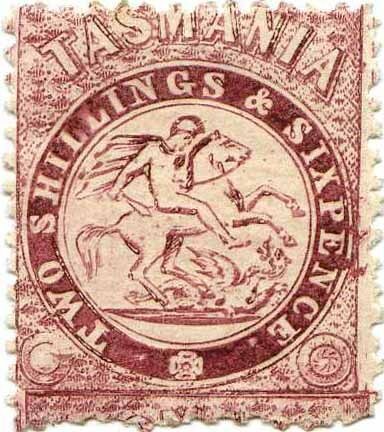 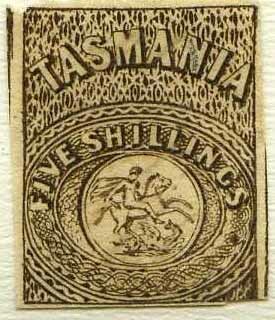 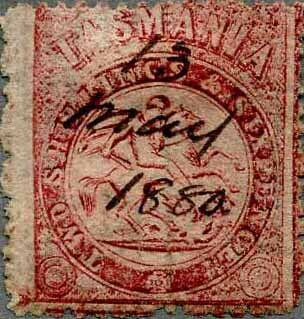 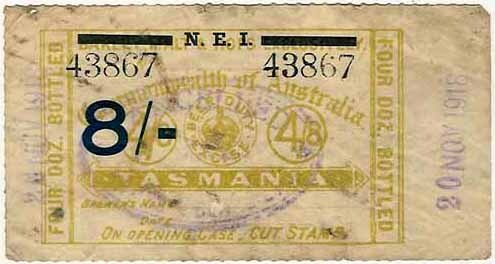 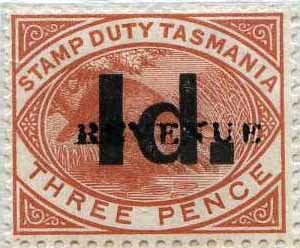 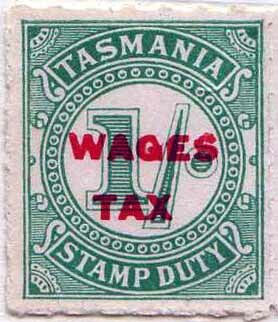 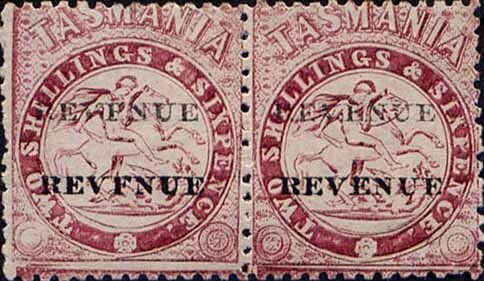 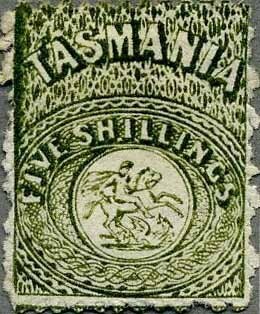 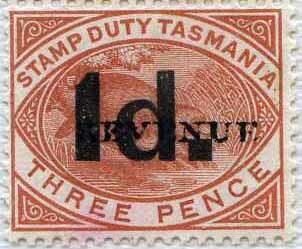 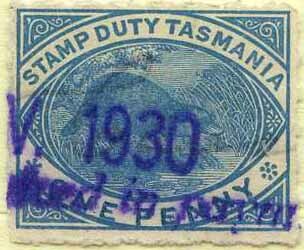 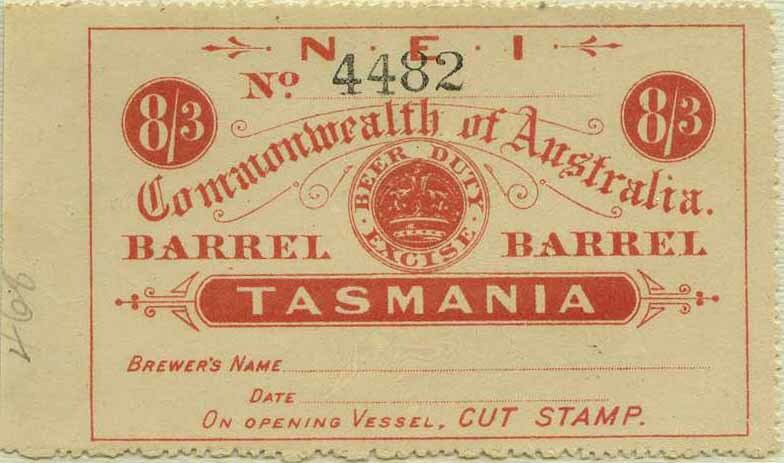 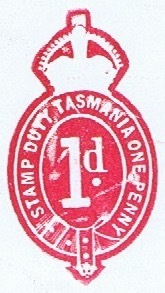 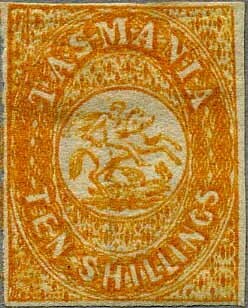 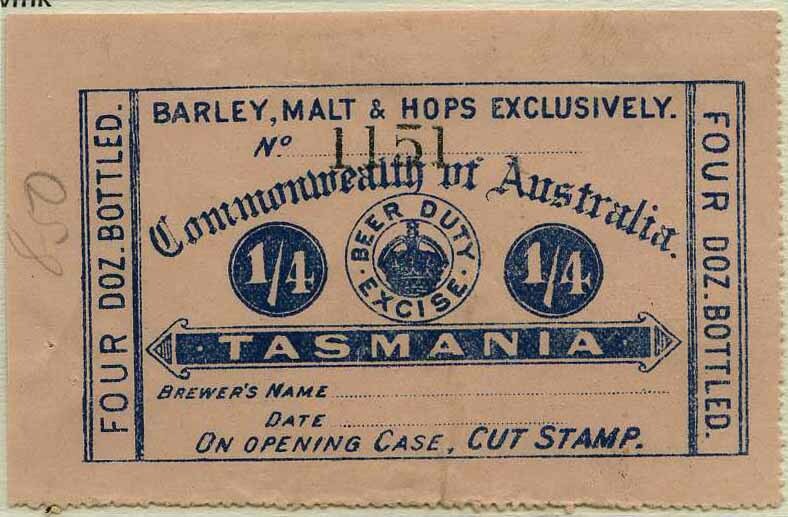 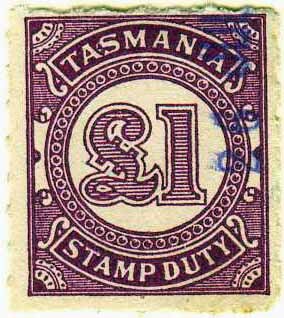 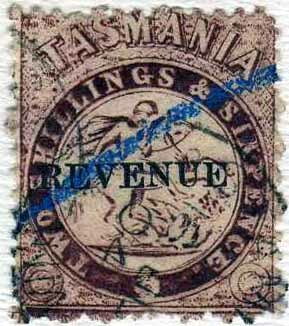 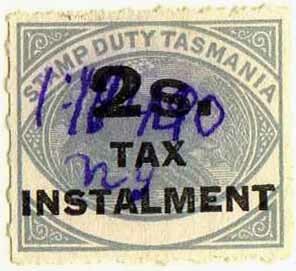 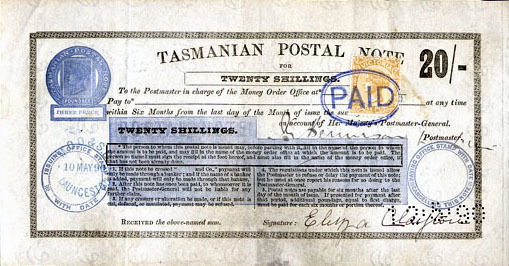 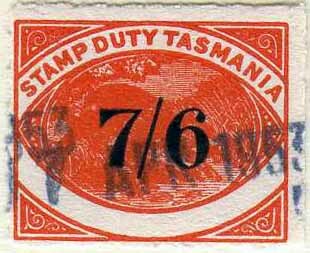 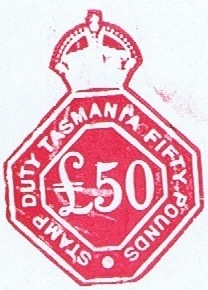 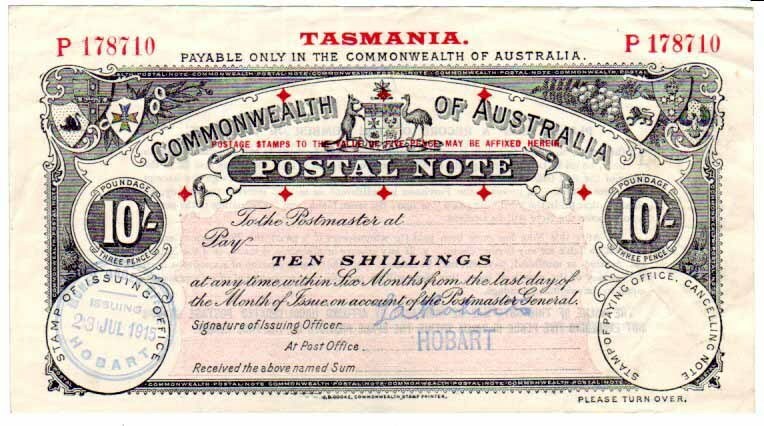 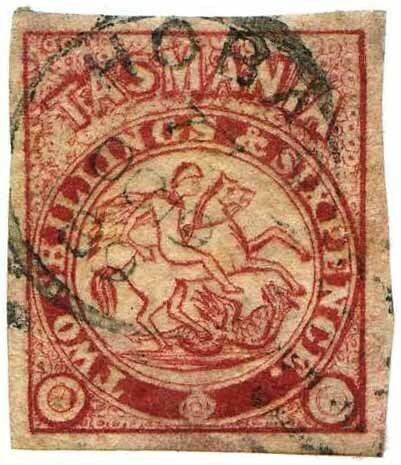 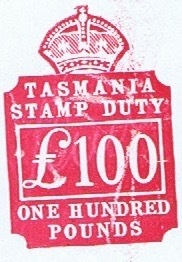 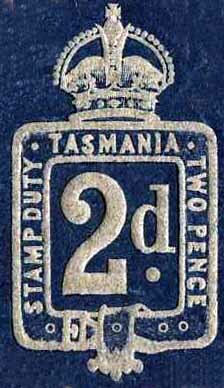 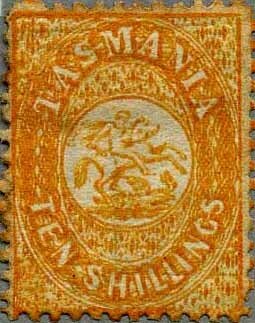 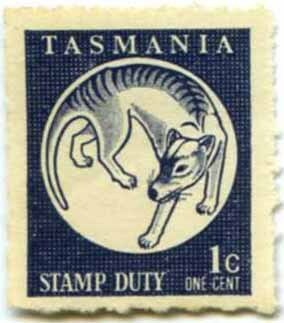 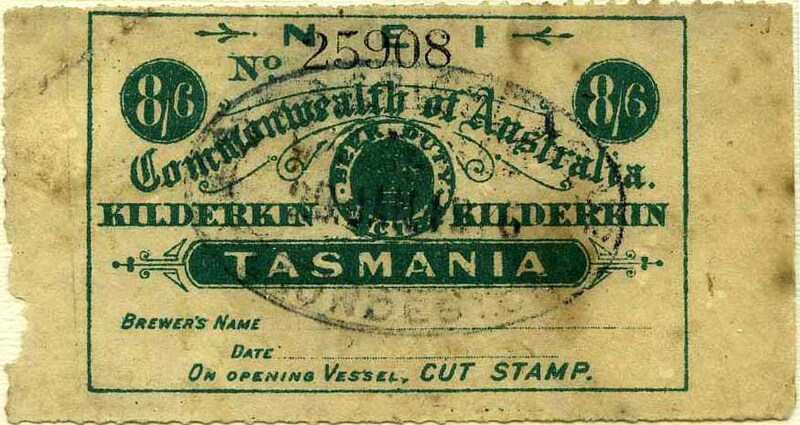 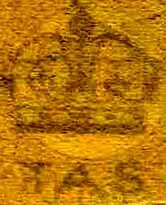 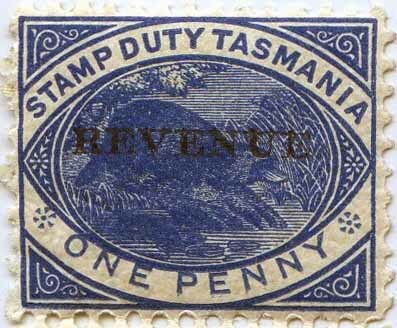 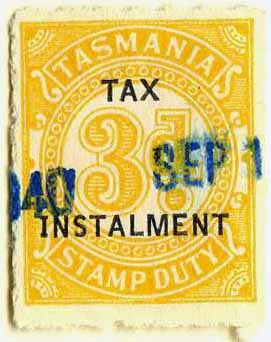 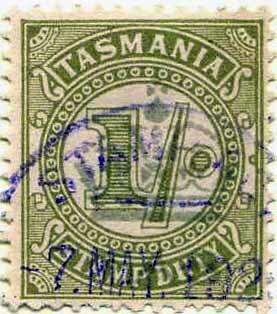 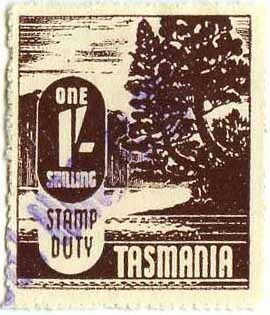 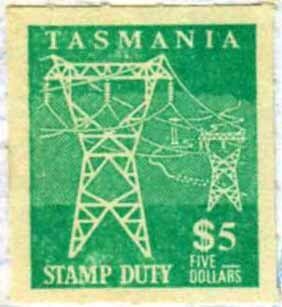 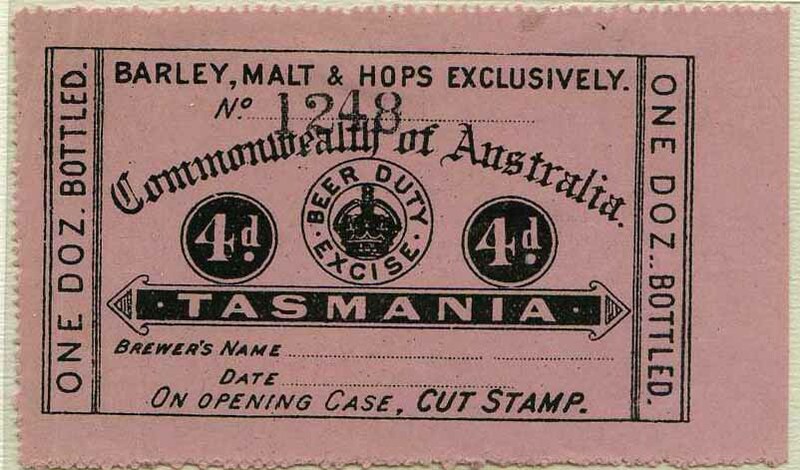 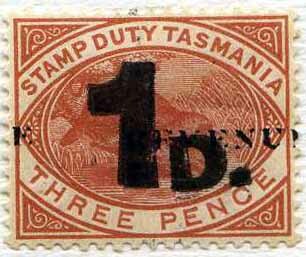 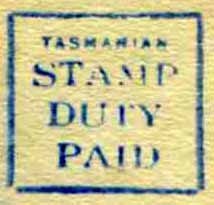 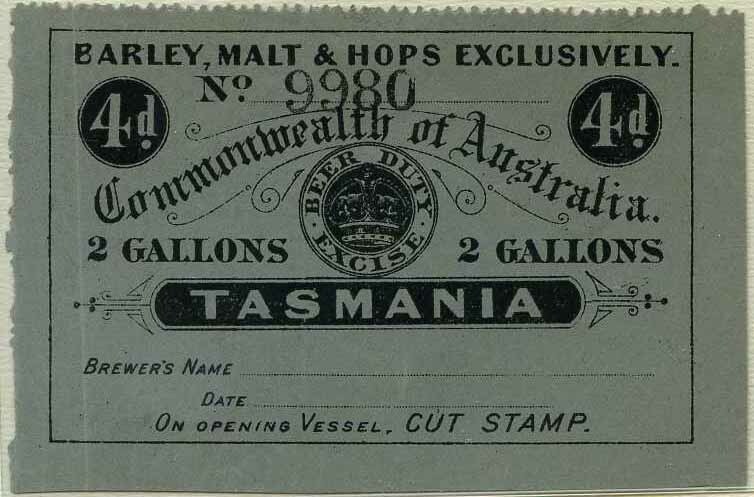 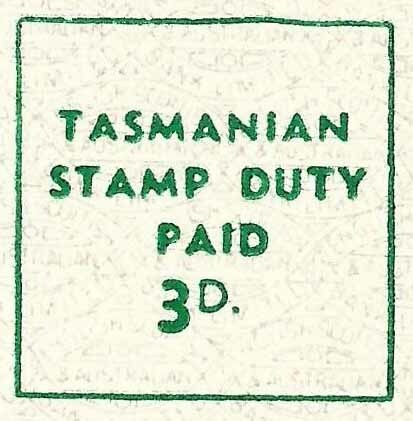 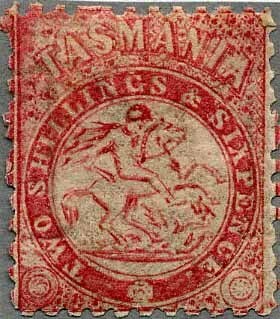 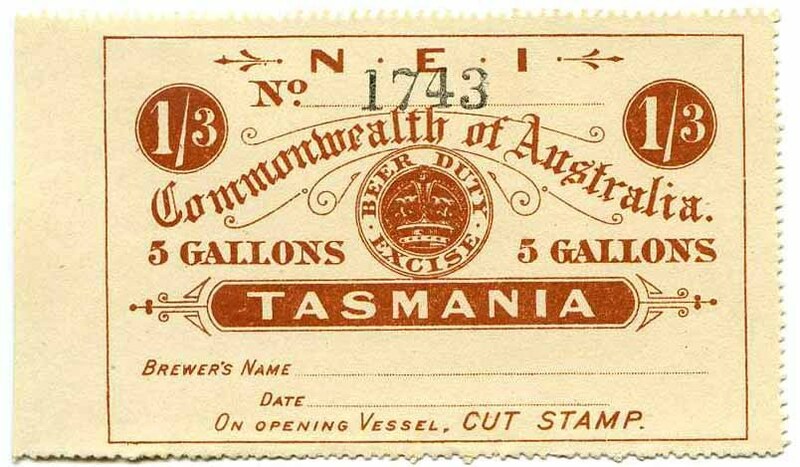 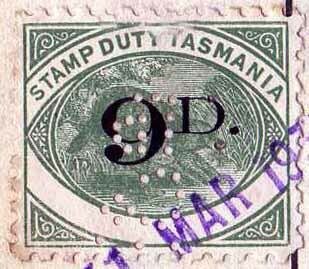 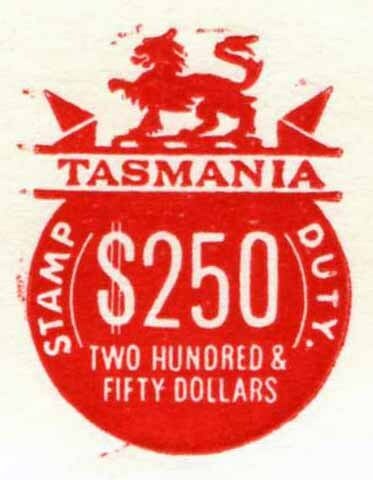 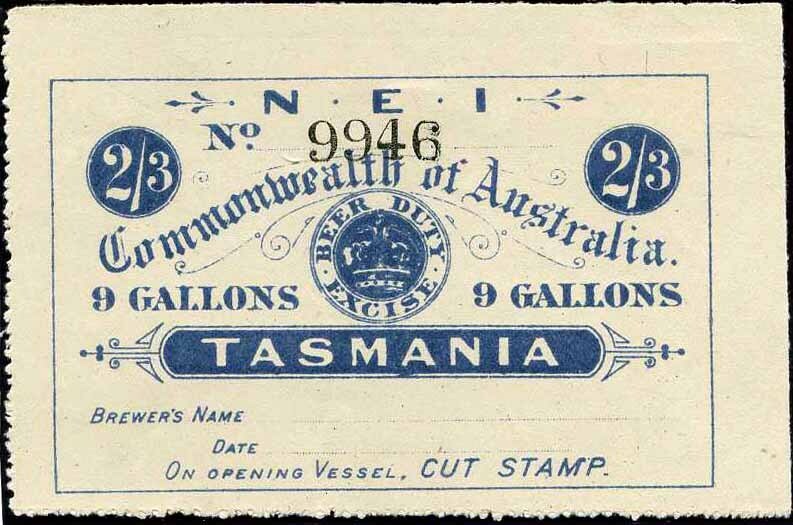 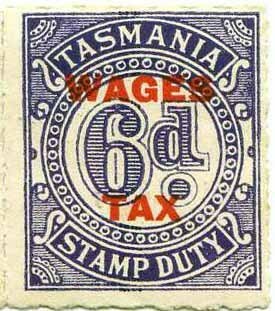 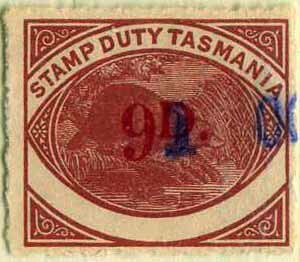 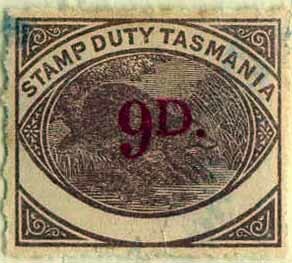 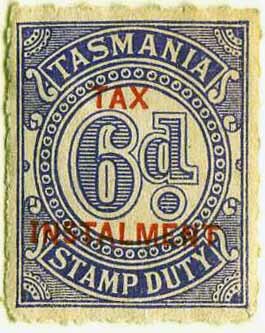 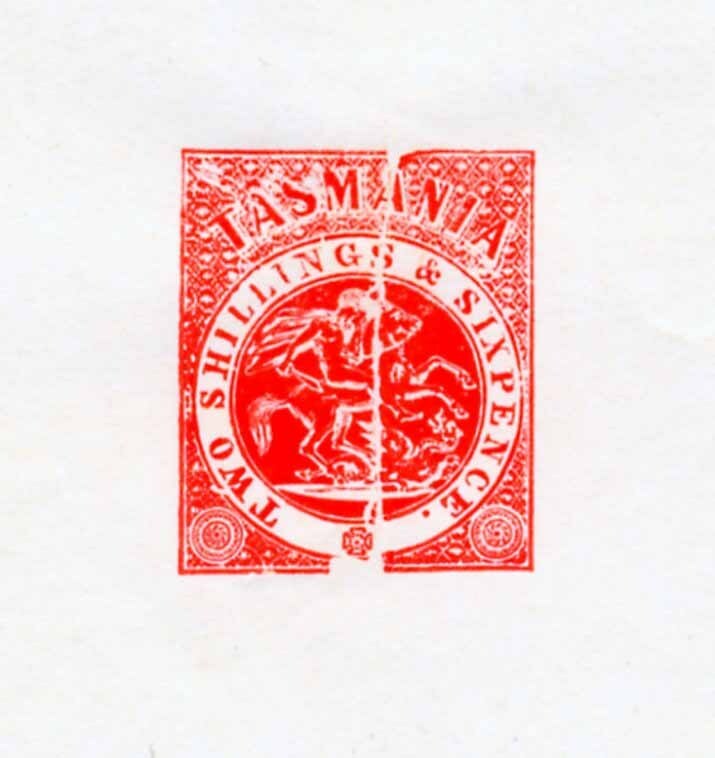 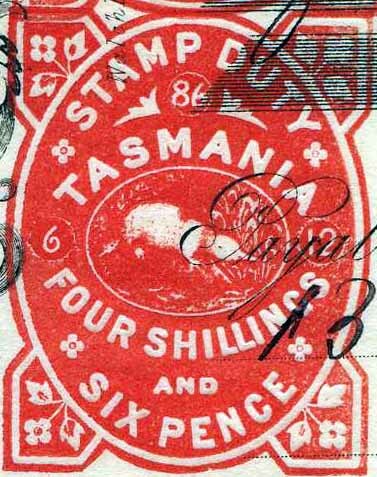 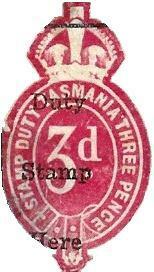 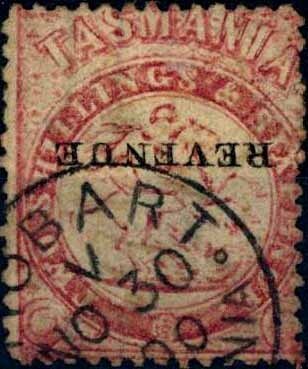 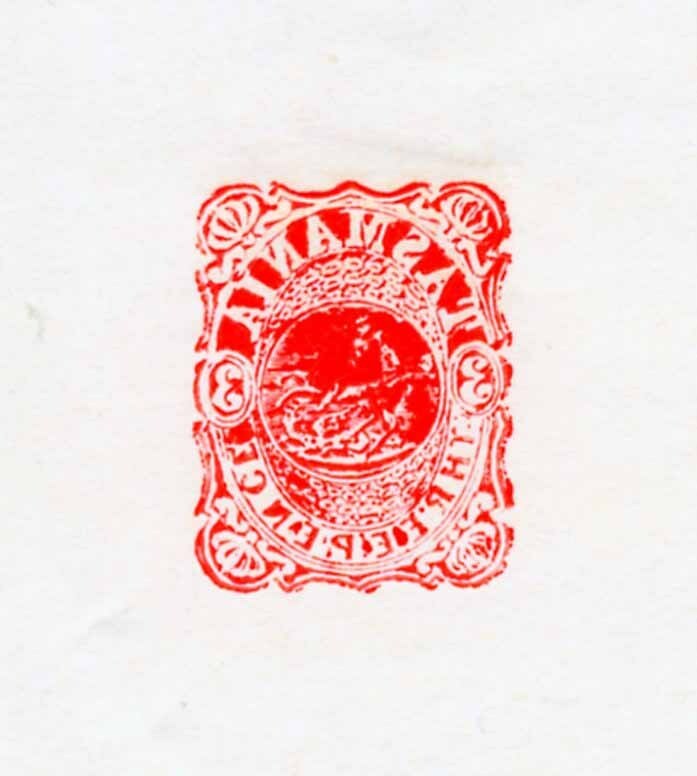 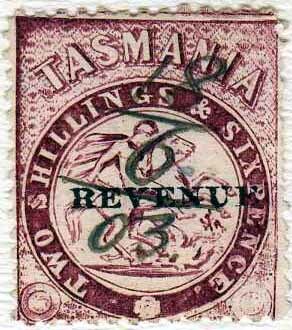 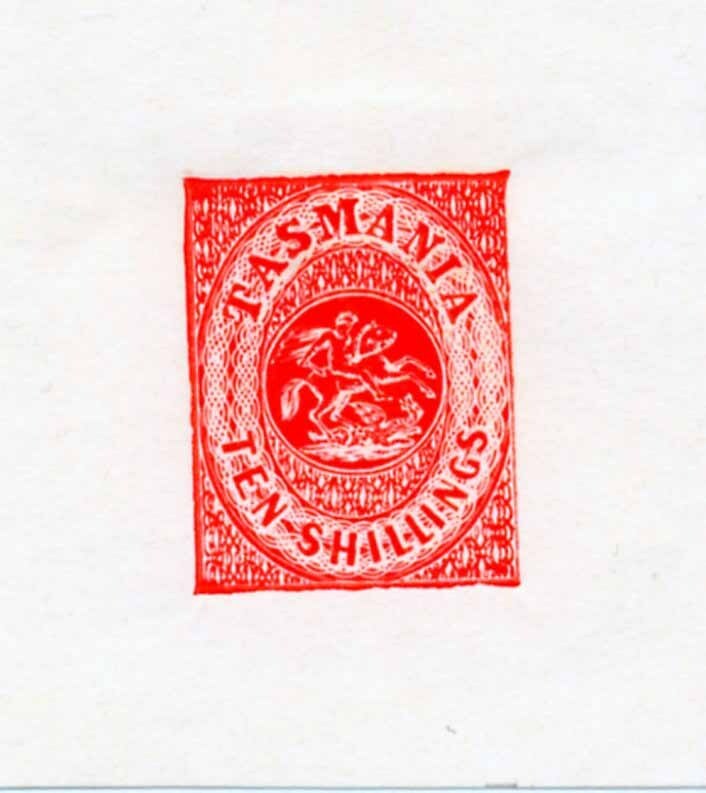 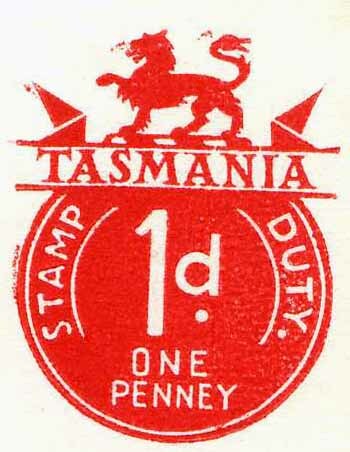 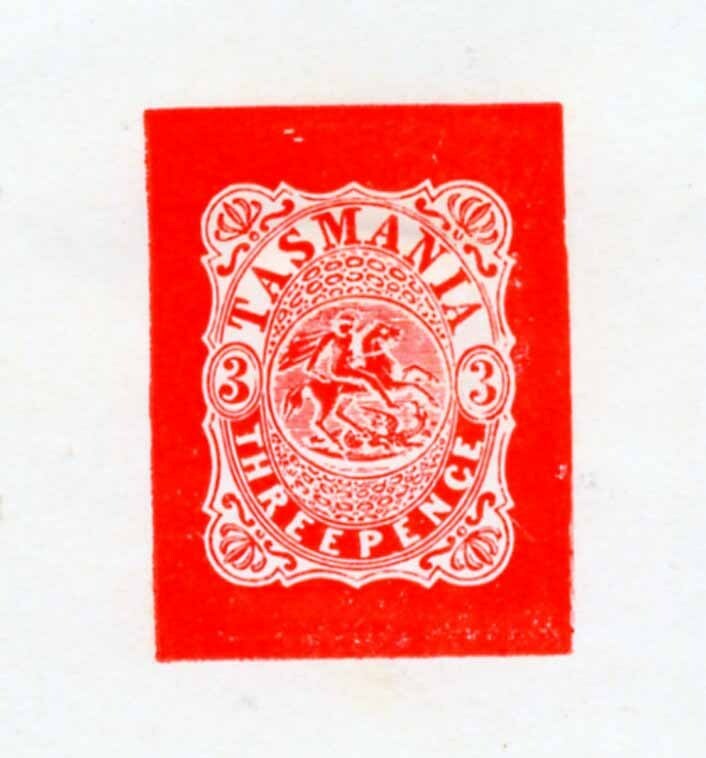 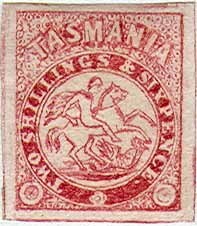 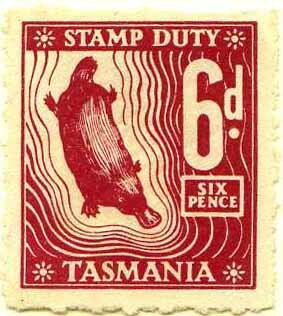 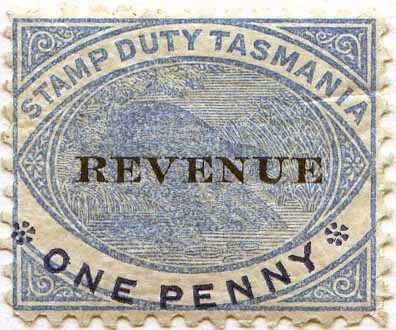 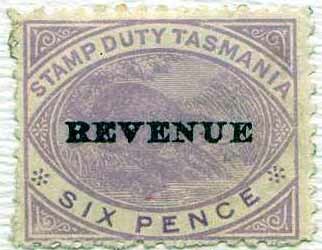 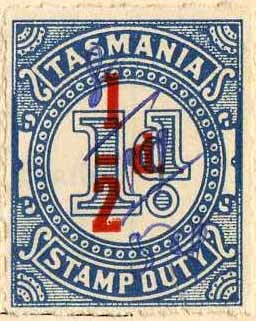 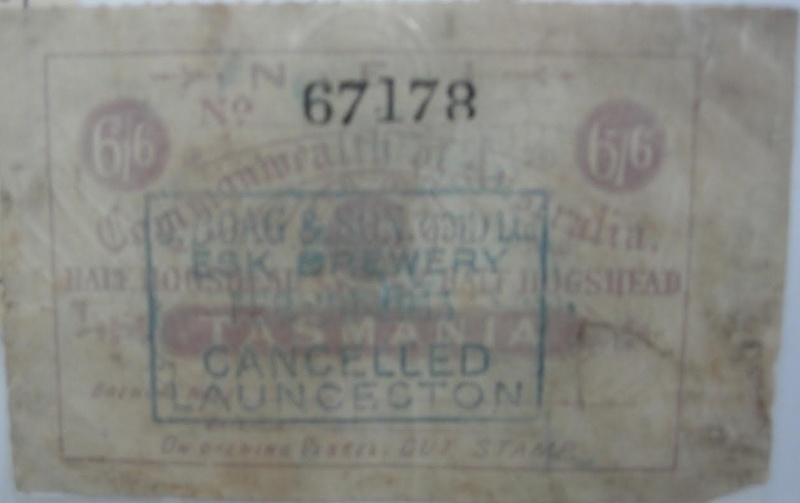 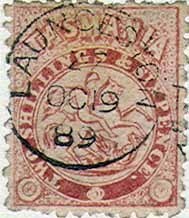 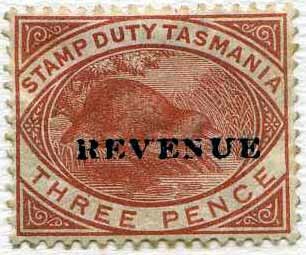 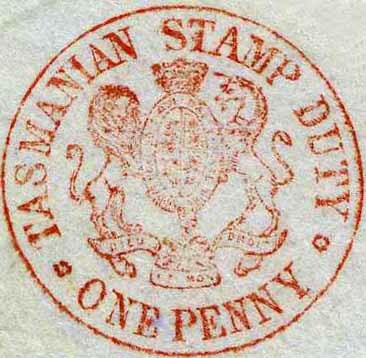 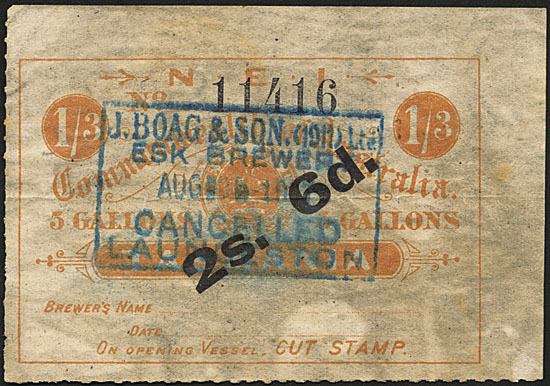 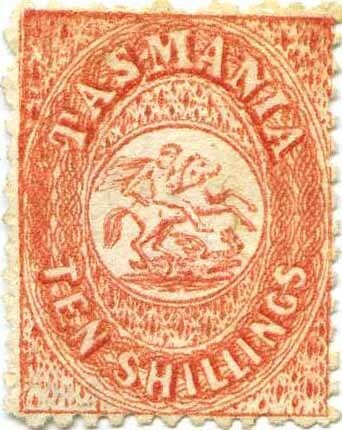 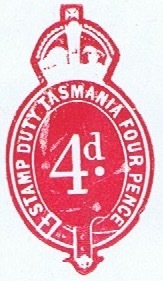 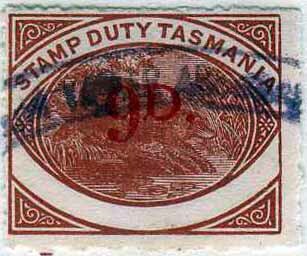 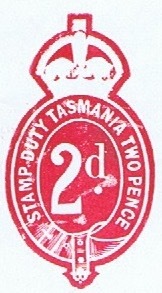 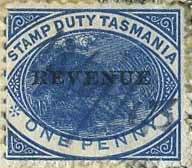 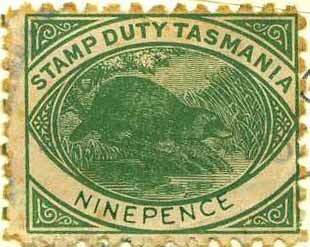 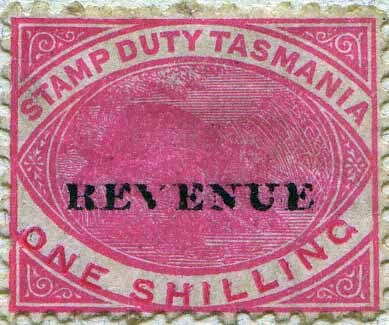 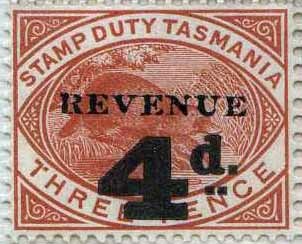 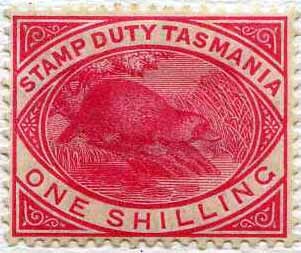 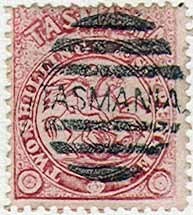 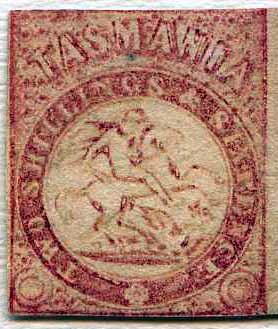 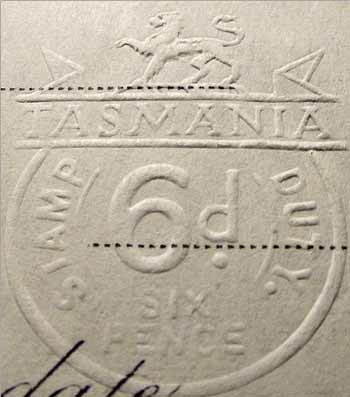 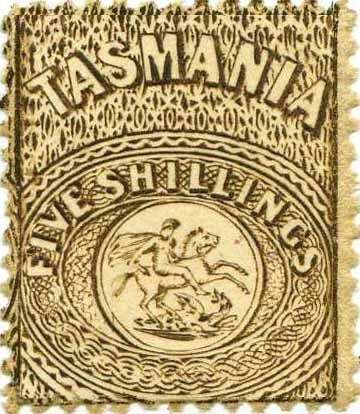 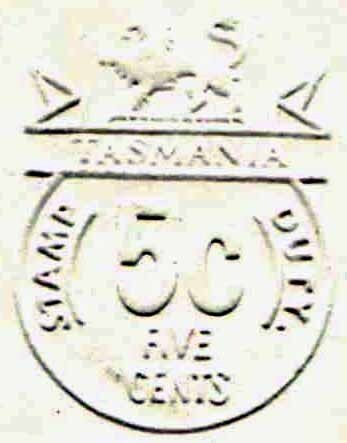 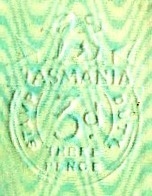 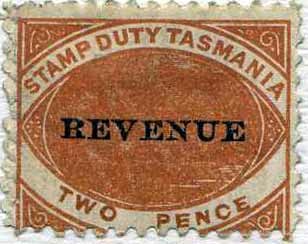 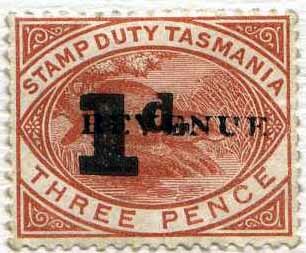 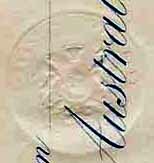 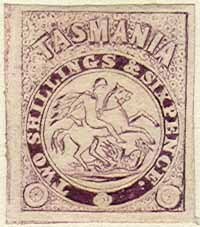 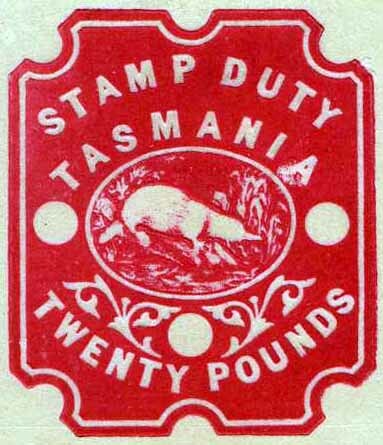 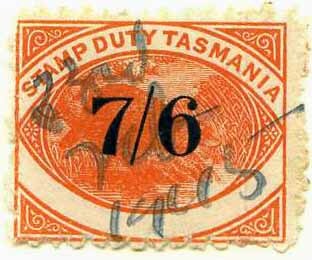 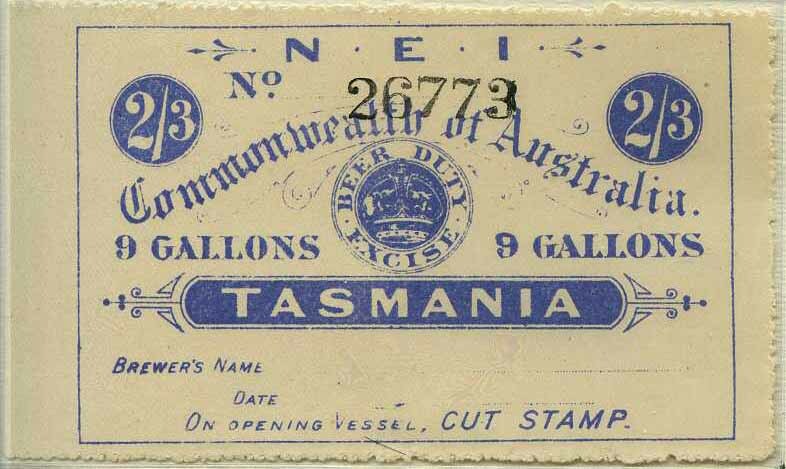 A perforation 12� machine was used by Robert Harris, a bookseller of Patterson St Launceston and a perforation 10 machine was used by J H B Walch & Sons [largest licensed vendors of stamps in Tasmania] stationers, of Hobart, unofficially until 1869, after that date officially for the Government. 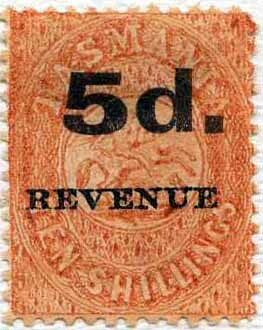 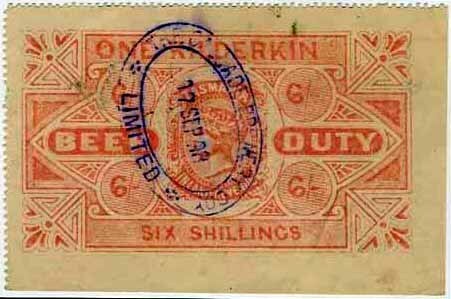 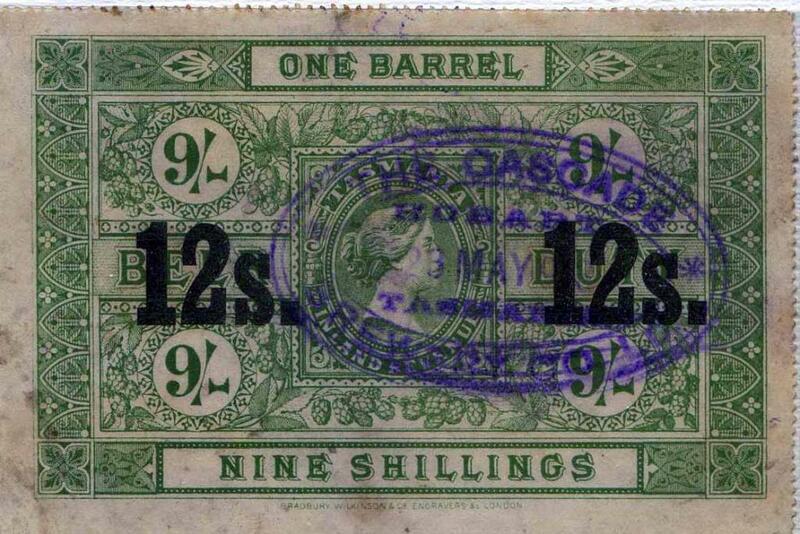 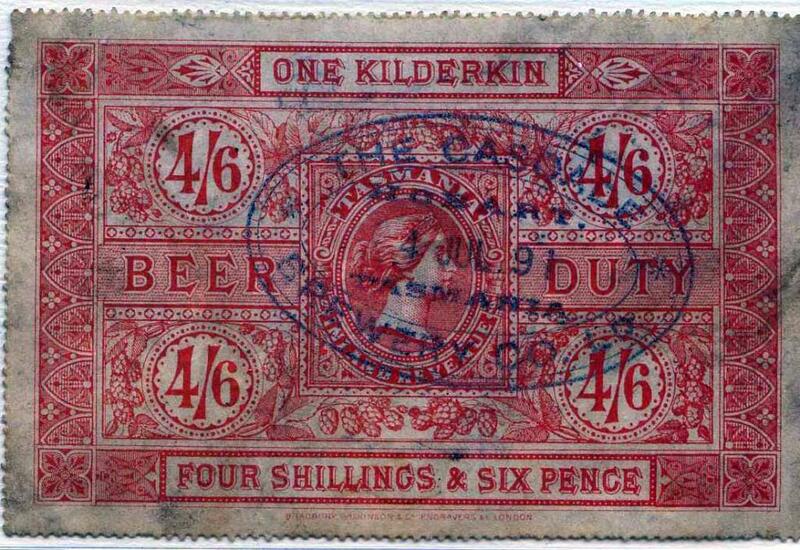 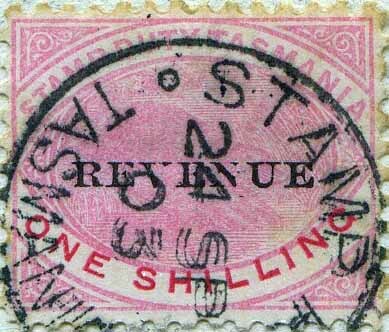 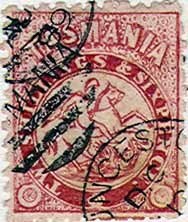 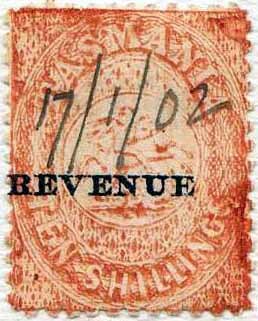 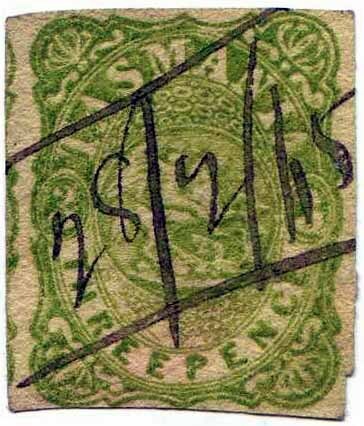 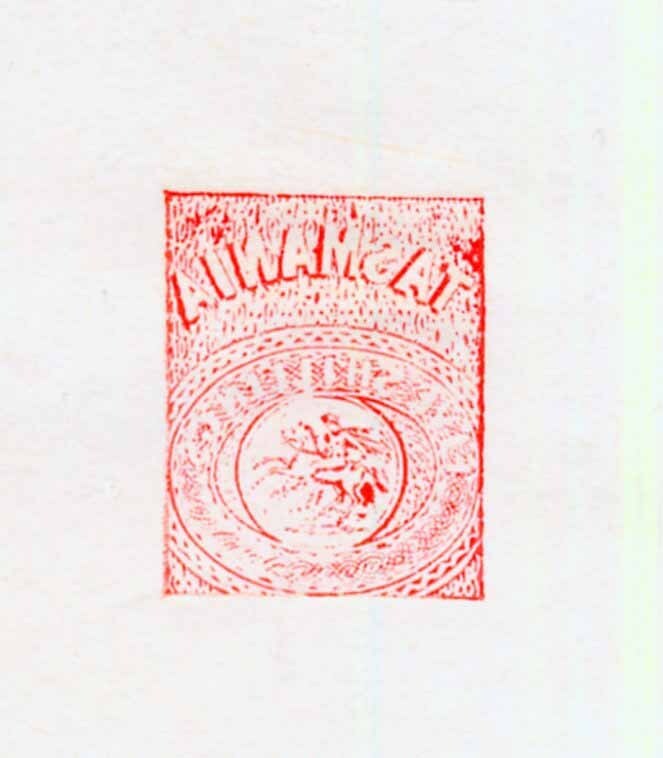 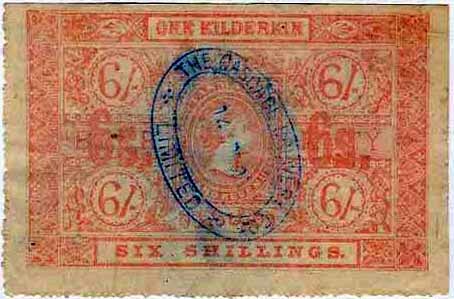 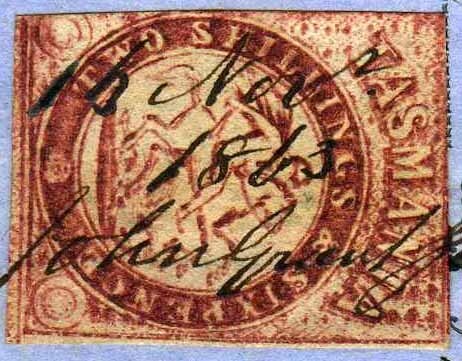 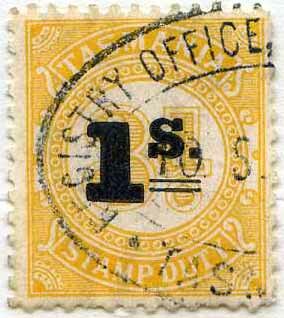 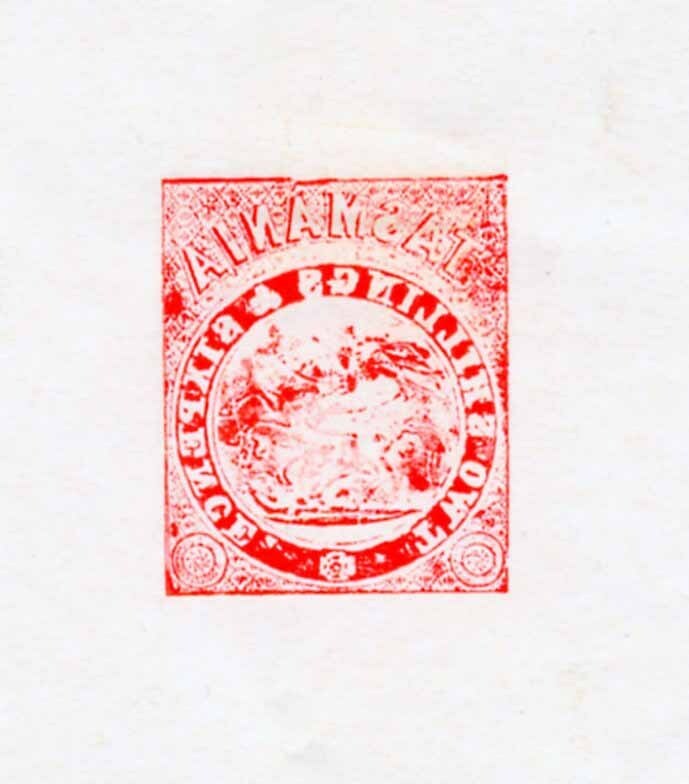 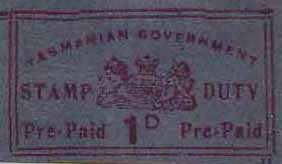 The perforation 10 & 12� were used prior to late 1868. 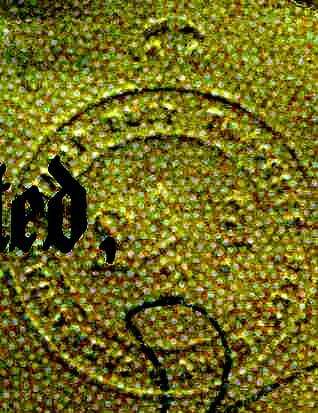 In late 1868-1869 Walch introduced a perf machine gauging 11.6 [known as 11�, EKD 20.10.68]. 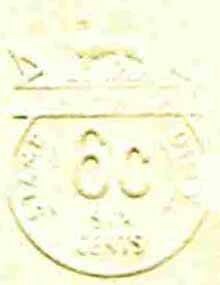 Commencing in late 1869 Walsh introduced another perf machine gauging 11.8 [known as 12, EKD 19.9.1869]. 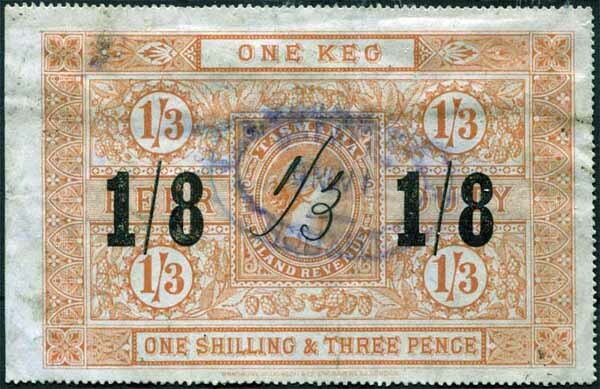 Compound perf 11.6 x 11.8 or 11.8 x 11.6 are exceedingly rare. 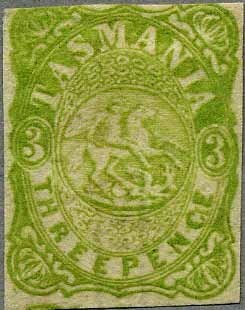 New colours 2/6 lake 5/- sage green & 10/- salmon. 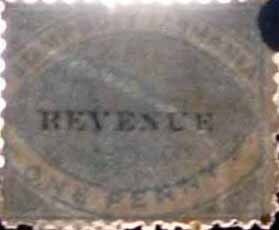 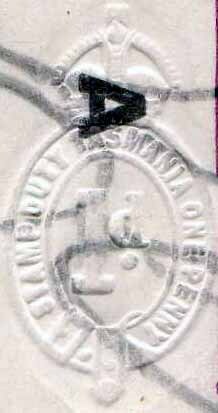 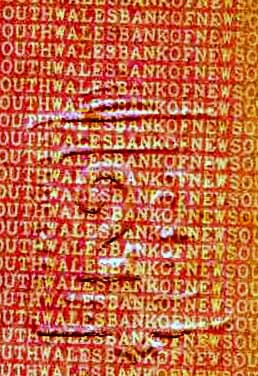 Perforated forgeries; 9 times out of 10 if you have a postally used copy it will be a forged stamp and postmark, so beware!! 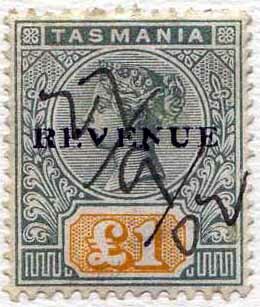 1900 [reissue] Watermark TAS Perf 11� Mint x 2. 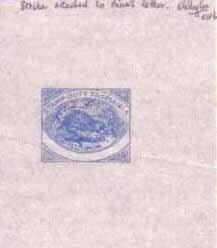 1903 Watermark TAS Perf 11�. 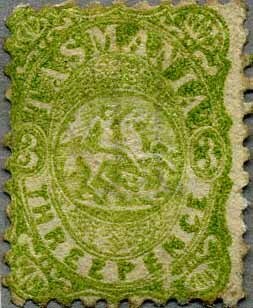 Mint x 2. 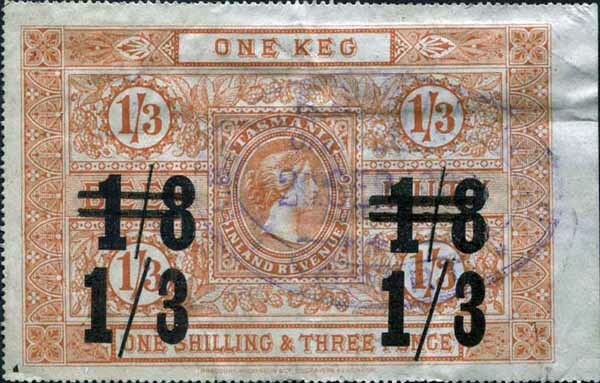 Used multiples x 2. 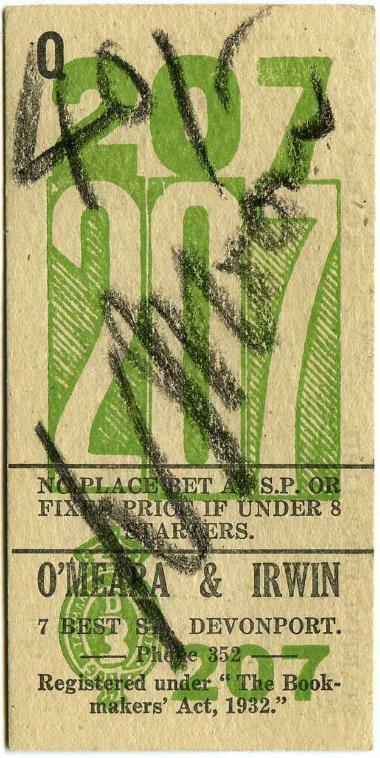 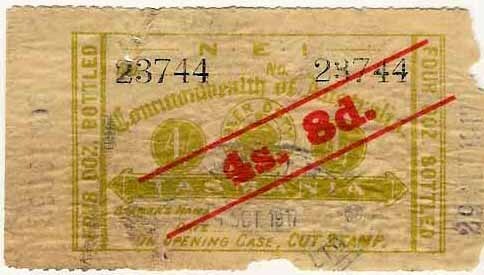 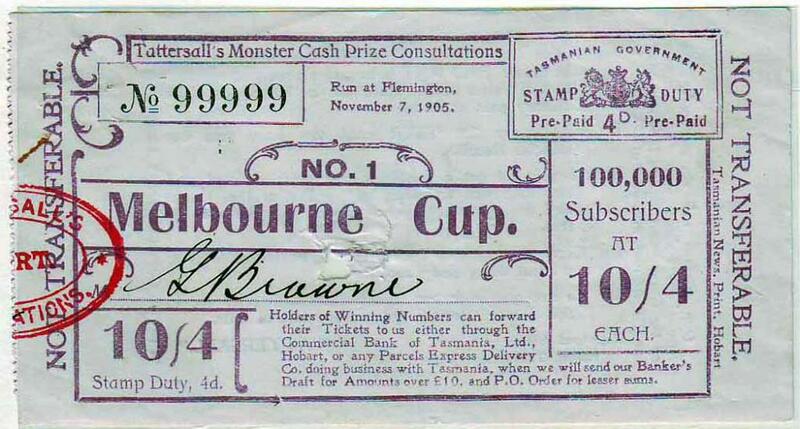 1904 Plain paper document cut out Prices are for full tickets as per the 10/4d above. 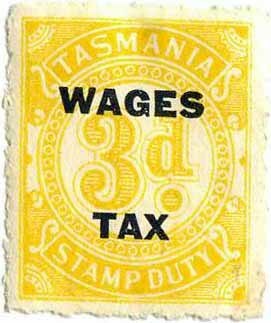 Cut out tax boxes from $5-$50 depending on the tax paid. 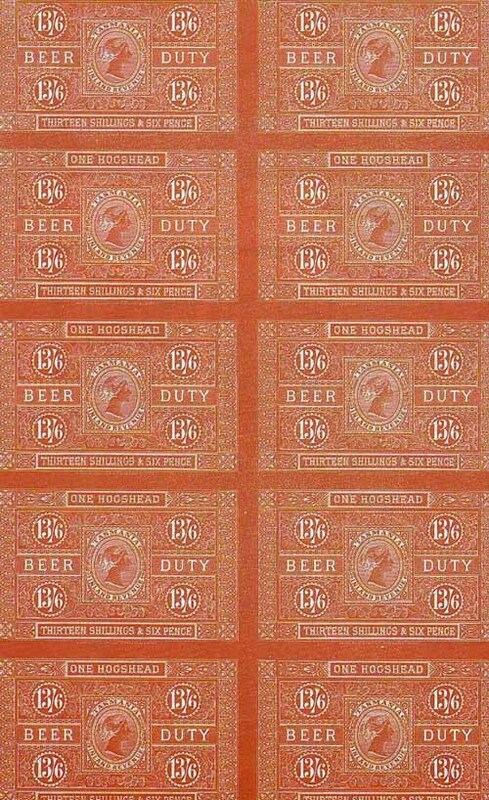 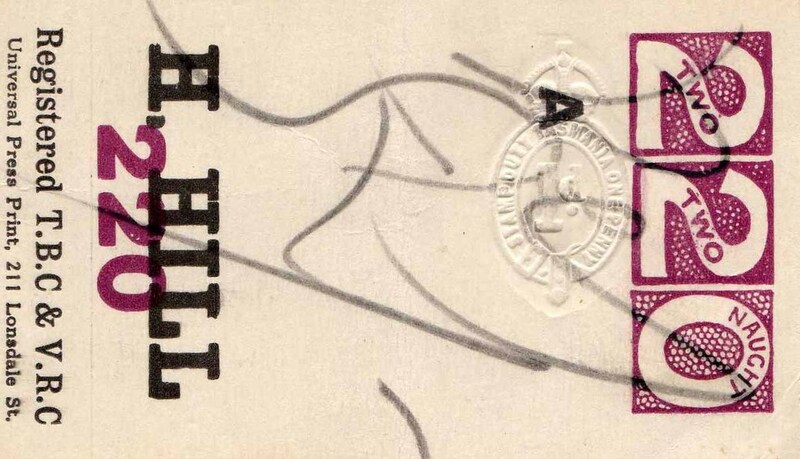 Reprints without imprint on card are known of all values these were done in 1960. 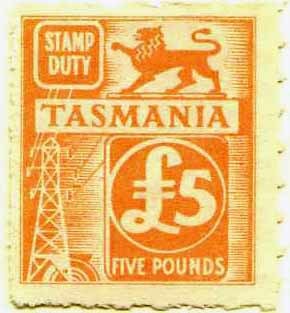 New Rate 4d per gallon. 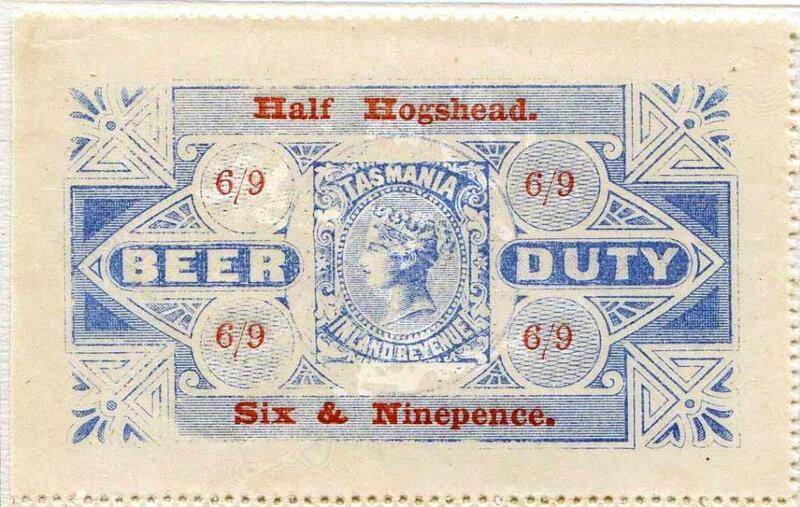 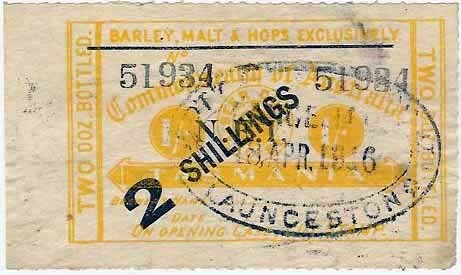 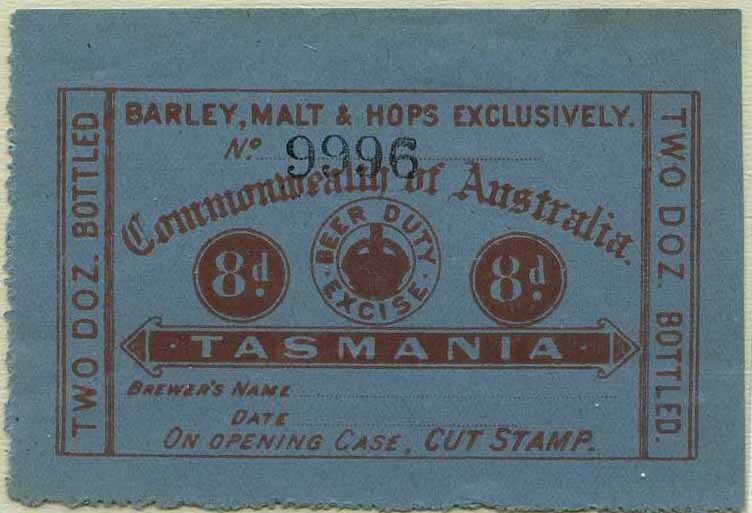 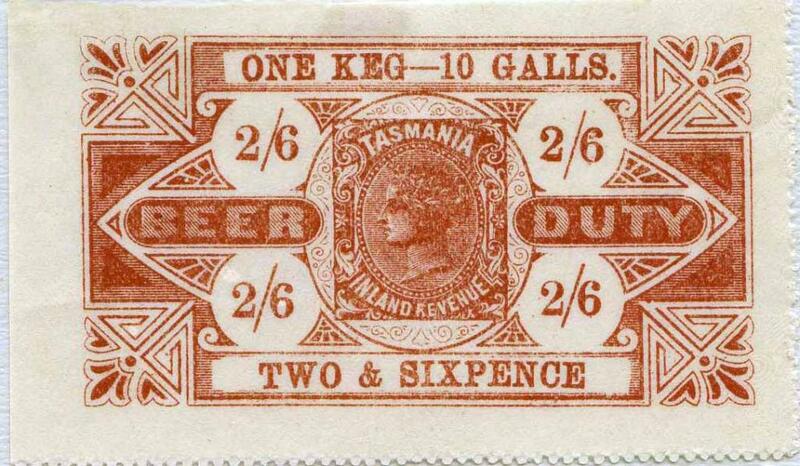 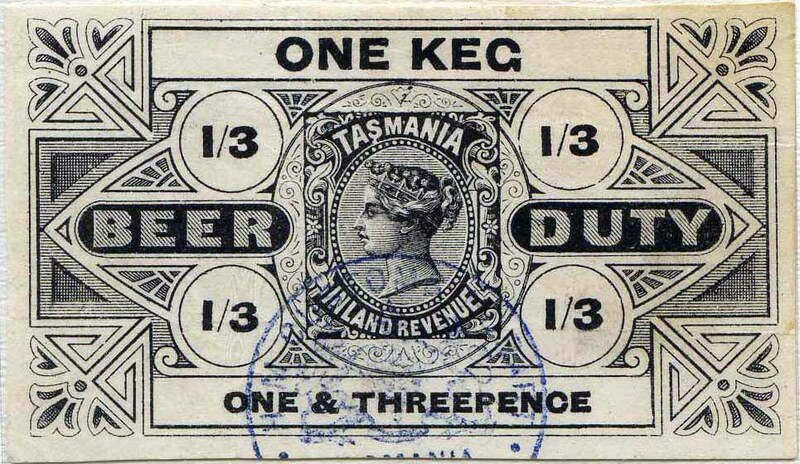 Beer Excise Act 1901. 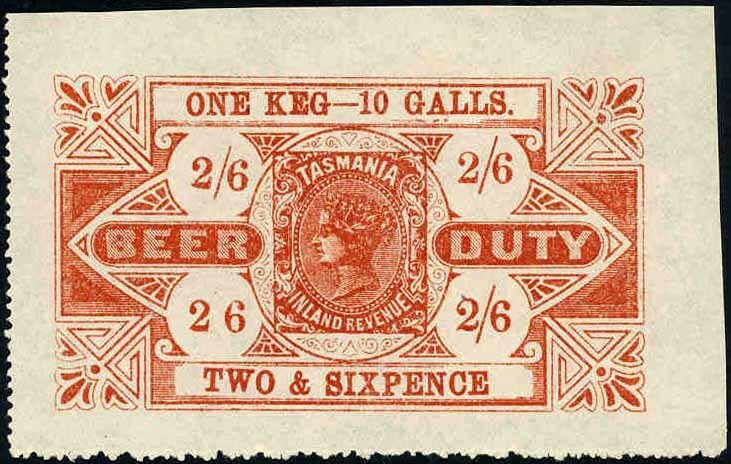 2 gallons, 5 gallons, firkin=9gallons, Keg=10 or 15 gallons. 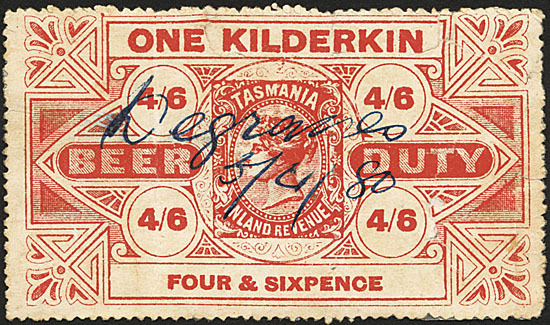 Kilderkin 17-18 gallons. 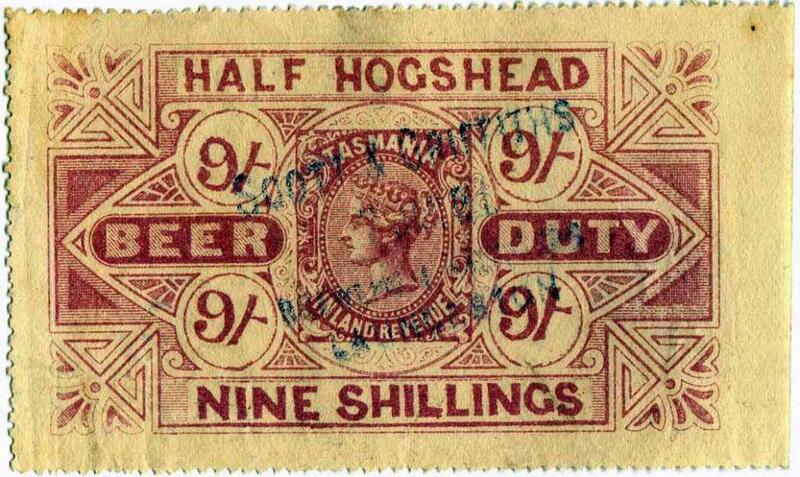 Half hogshead=25/27 gallons. 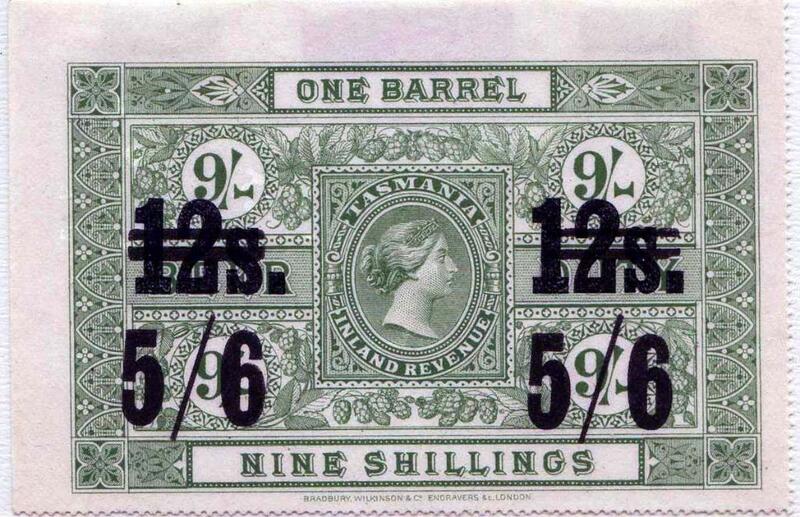 Barrel 33-36 gallons. 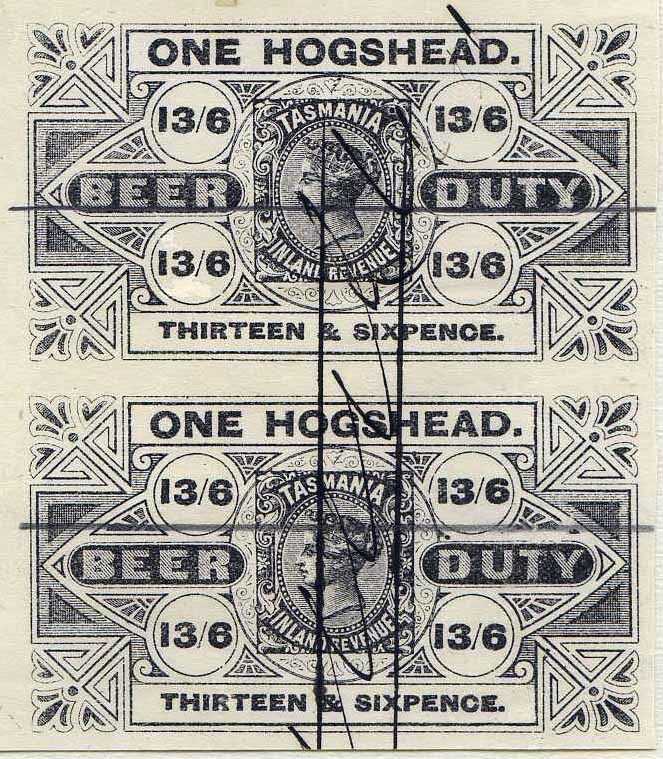 Hogshead 50-54 gallons. 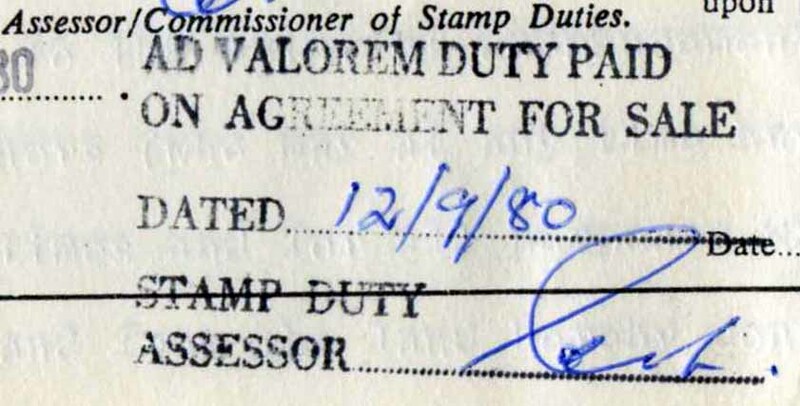 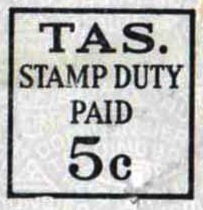 Duty rate was applied to minimum gallon amount. 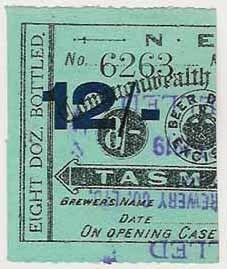 Bottled beer=per quart. 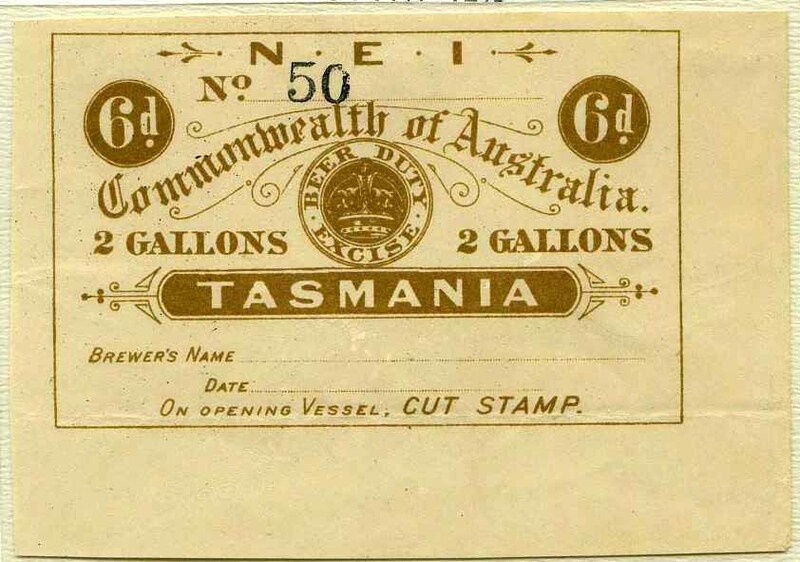 6 quarts or 12 pints=1 gallon. 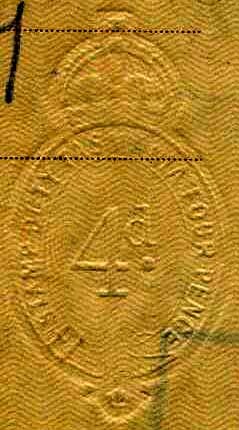 Lower left / missing, lower right 2 in different font.